Lögun blaðs: Spjótlaga, egg báðu megin. Colonel Rex Applegate, with over 40 years of knife design experience, is legendary in the world of hand-to-hand combat. The Applegate-Fairbairn family of knives rank as lasting symbols of the Colonel’s dedication, expertise, and sense of purpose, earning international status as best-of-class amongst folding tactical knives. 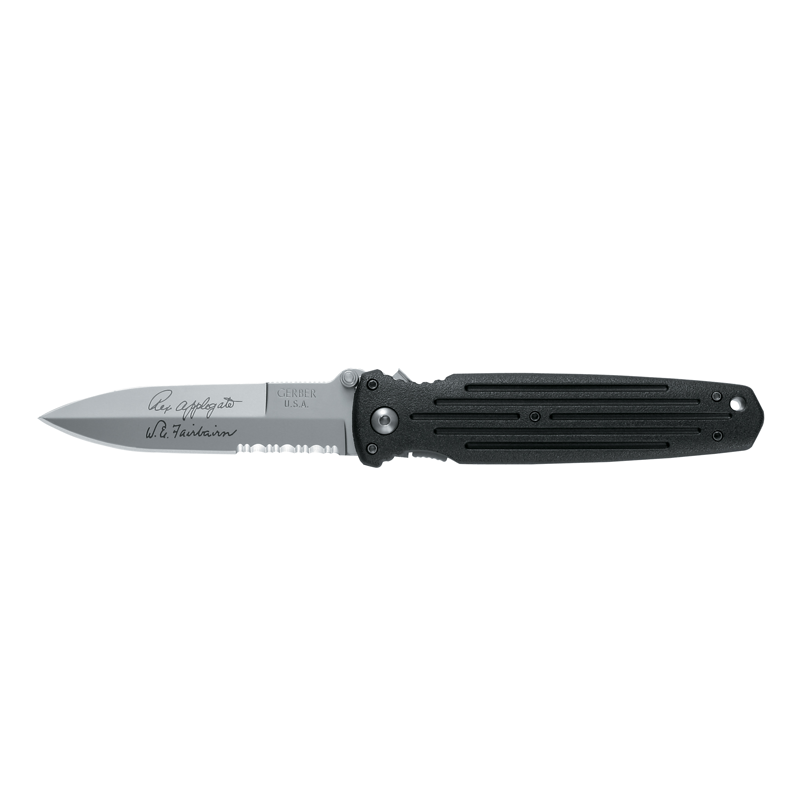 Based on the classic Applegate-Fairbairn fixed knife, the Combat Folder functions comparably to a full-sized fixed blade knife, with the versatility of a folder. 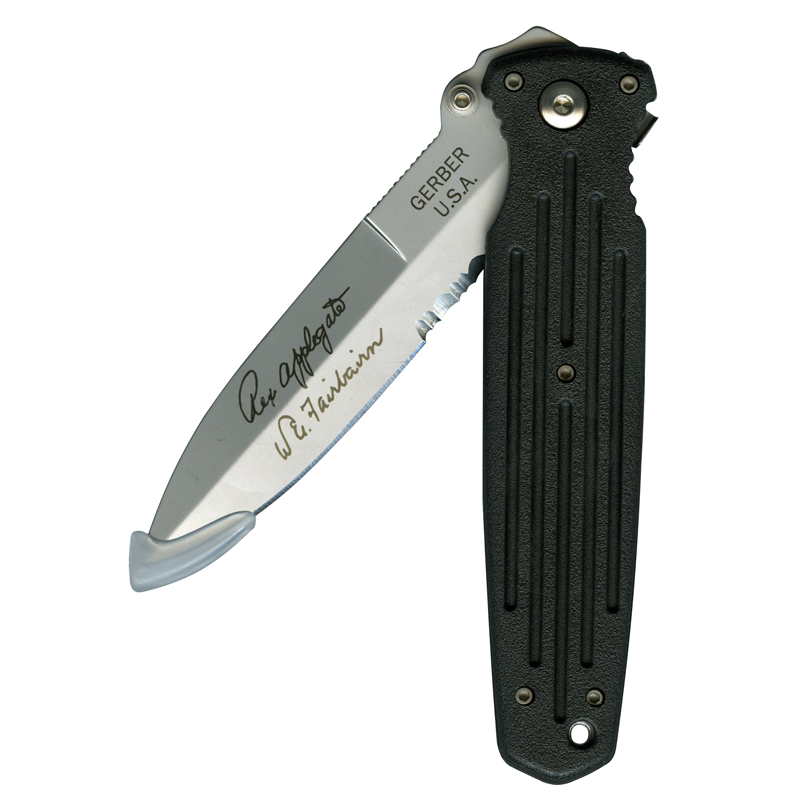 The Gerber Applegate-Fairbairn Combat Folder, like all of our military products, is built in Portland, Oregon, USA. A totally relevant knife for today’s deployed military, the Combat Folder’s powerful design is highly adaptive for storage due to its being a folding knife, while the blade, when extended, provides the same strength as a fixed blade knife. The patented blade lock lever, a secondary manual locking system, can be flipped into place with the thumb as it presses into the hilt of the handle, preventing the open blade from closing on the hand of the operator, and allowing for absolute confidence in its use. 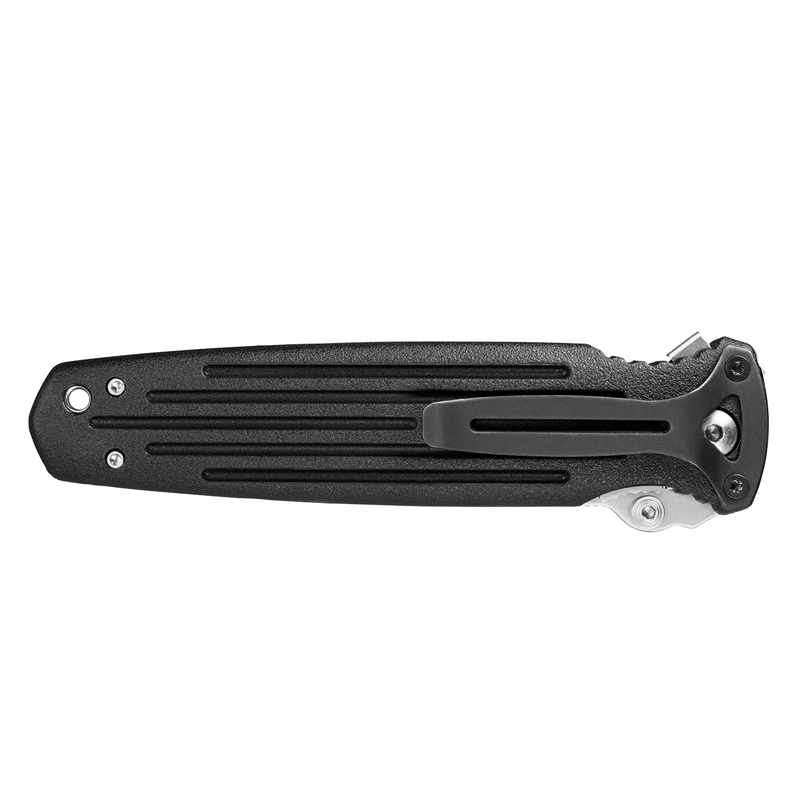 Clip the folder to MOLLE-equipped gear, slide it into a pocket, suspend it from a belt; this knife can accompany its operator through any conflict. With a 4 ½ inch double bevel partially serrated blade, the Combat Folder is an elegant close-quarter conflict knife. Dual thumb studs are present for easy one-hand opening of the blade. Featuring a sturdy grooved handle, and etched with the Applegate and Fairbairn signatures on the blade’s face, the Applegate-Fairbairn Combat Folder looks and feels as impressively balanced and sturdy as its name suggests.